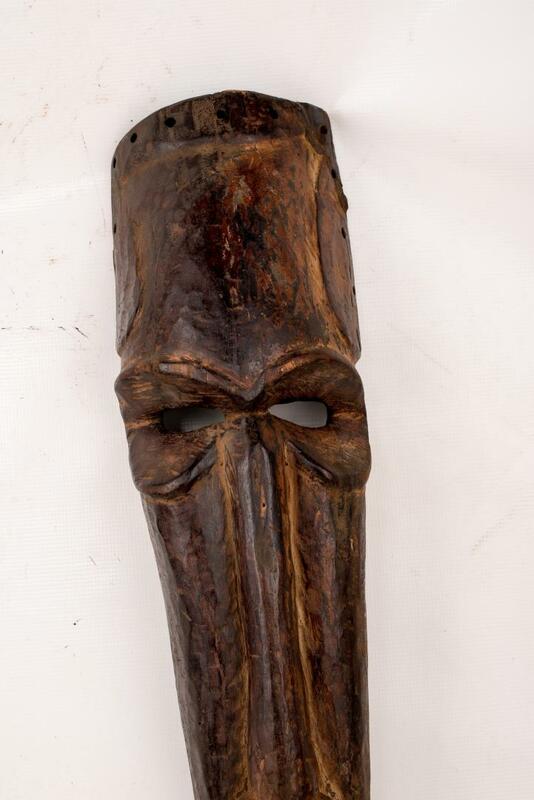 This mask supposedly belongs to the nyibita tribe of the kuba tribe. 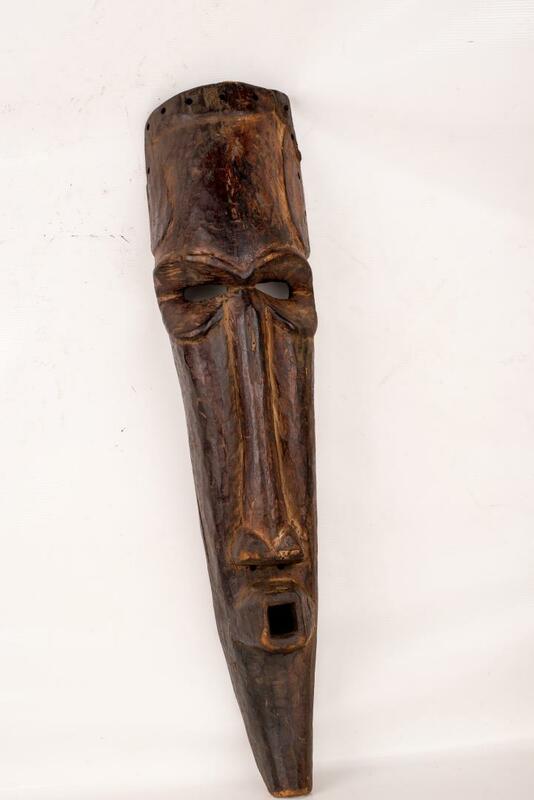 Nyibita masks are utilized in dances and initiations by the Northeastern Kuba groups such as the Ngeende, Ngongo, Twa and some of the Northern Kete and Pyaang. 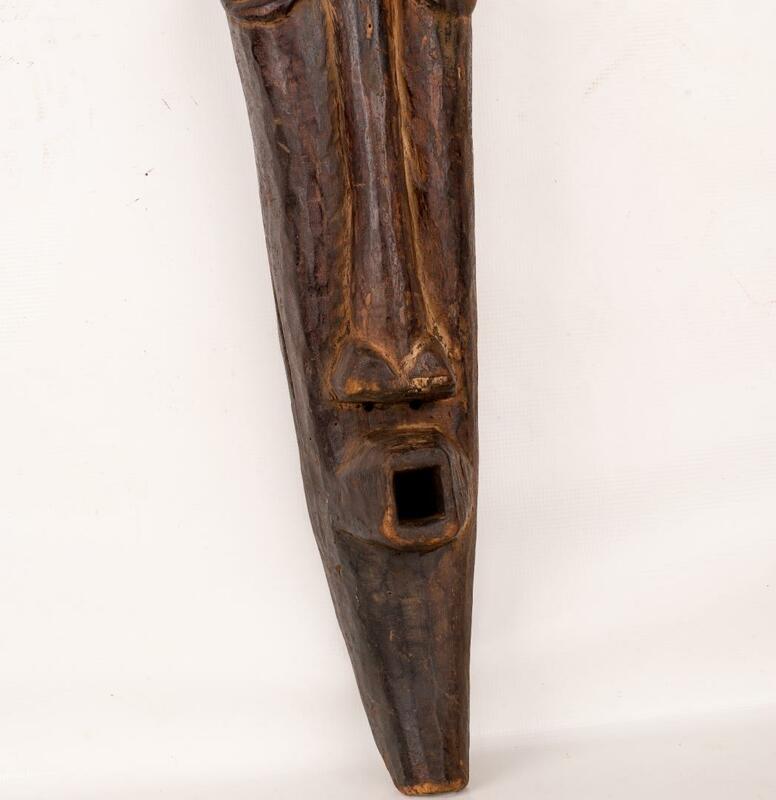 This fine 'Nyibita' mask has an exceedingly thin form with a flat narrow forehead deeply carved into the recesses of the ocular orbits, angular cheeks and exceptionally long nose and a Fine old surface with excellent patina.